Here's a little info for one of the main bad guys that we will see in Super Hero Taisen GP. Meet Nobuhiko Tanaka, the guy who's tasked to play the Black Shogun! 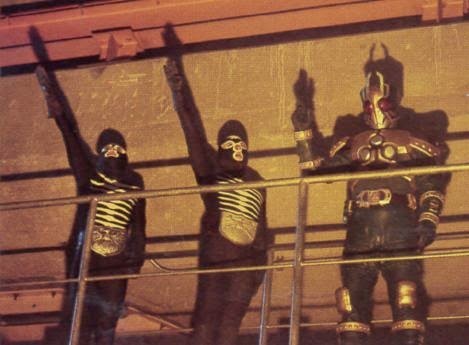 Black Shogun was last seen in the movie Let's Go Kamen Riders! 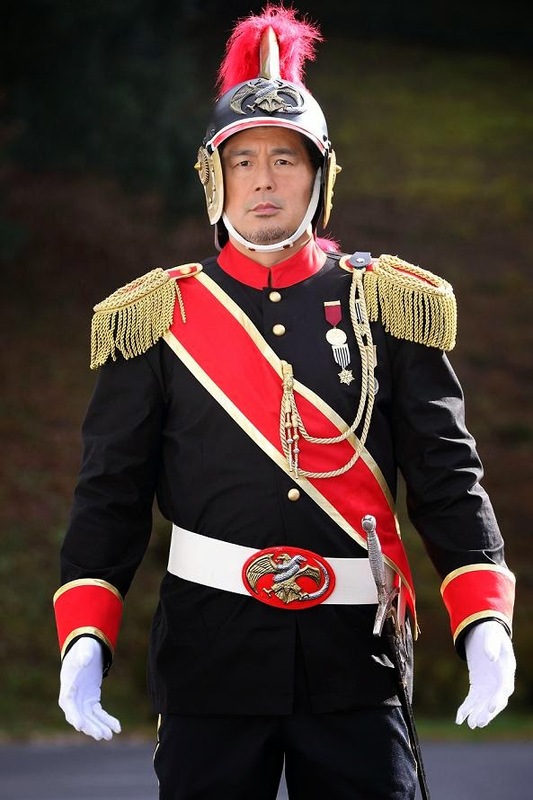 and the evil general will make a comeback in this new SHT movie and he will be portrayed by none other than Nobuhiko Tanaka, a famous wrestler way back in the 80's. Directed by Takayuki Shibasaki (Kamen Rider Drive & Gaim: Movie Wars Full Throttle) and written by Shoji Yonemura (Kamen Rider Taisen). 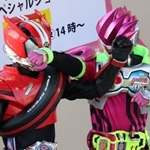 Super Hero Taisen GP is set to premiere in March 21, 2015. 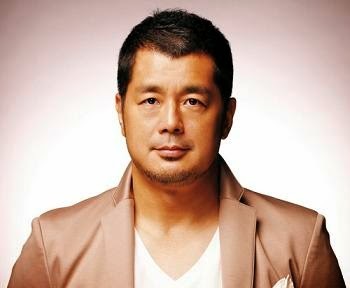 Actor Takayuki Tsubaki has confirmed in his blog that he will voice Kamen Rider Blade in the upcoming Super Hero Taisen GP: Kamen Rider #3 film. 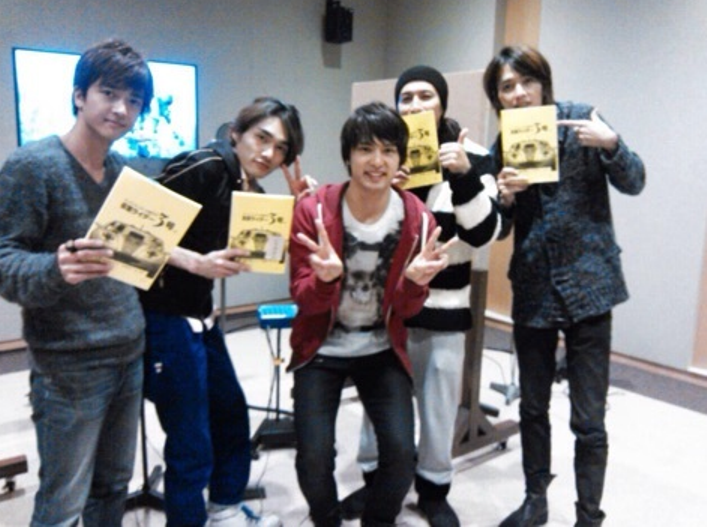 He revealed that he was at a studio recording with Yuichi Nakamura for his lines in the film. He mentioned that because its been a while since he did any recording, he often stuttered with his lines. In addition, based on a photo he posted in his blog, his Kamen Rider Blade co-stars, Kousei Amano, Ryoji Morimoto and Takahiro Hojo, who played Kamen Riders Garren, Chalice, and Leangle respectively are in the same studio as well. 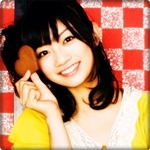 It is still unconfirmed if Morimoto and Hojo are involved in the said film. Die anderen werden mit Sicherheit auch ihre Rollen spielen, denn das auf dem Foto ist denke ich das Movie-Skript. Und Yuuto ist ja auch dabei, also was sollten die anderen da sonst machen. Vor allem macht das ja Sinn, wenn sie die Drama CD promoten wollen. 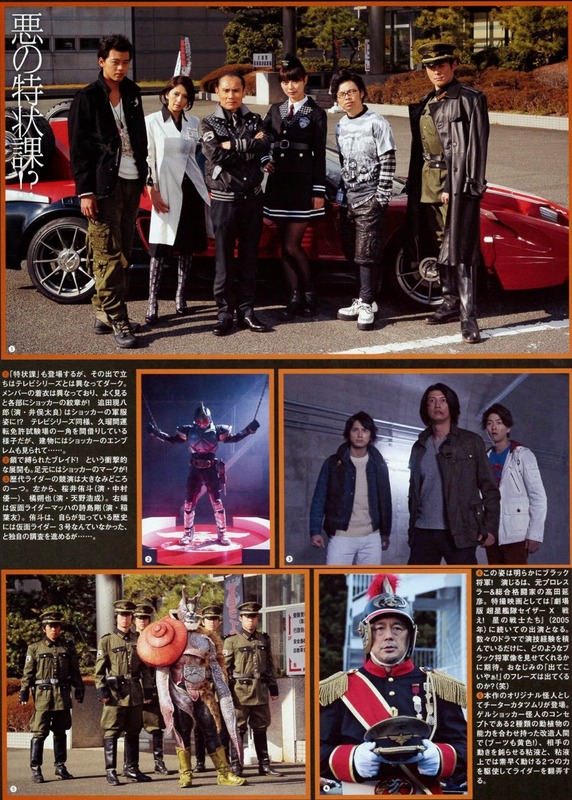 A new magazine scan has revealed a small info regarding the events that will happen in the upcoming SHT movie, Super Hero Taisen GP. Read-on after the break. According to the magazine scan, the story will take place in 1973 while the other will involve the heroes from Kamen Rider Blade. Also seen in the scan is an imprisoned Kamen Rider Blade and looks like Tachibana, Yuuto and Gou are planning a rescue party from a Leangle led Shocker army. Still no sign if heroes from other franchise like Super Sentai or Metal Heroes will be joining the battle. Ein Medic Team an Monitor 3 bitte! Heads-up everyone! 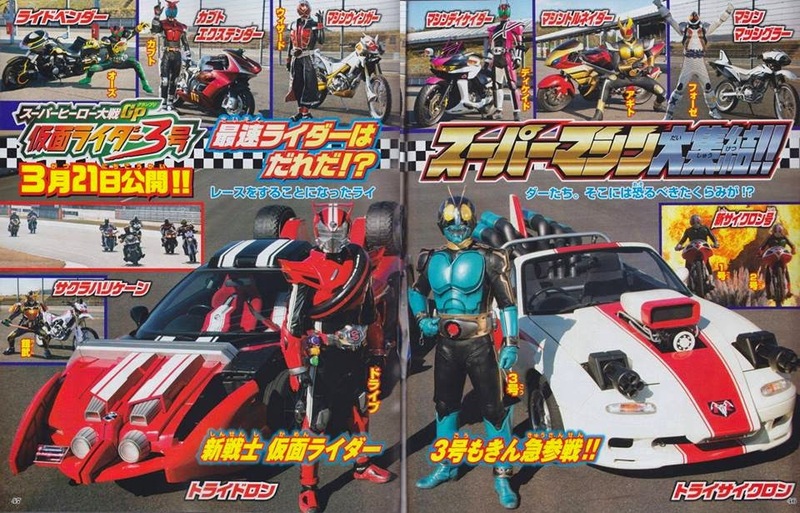 A couple of new magazine scans featuring Super Hero Taisen GP has surfaced online featuring a race between Kamen Riders and finally, Kamen Rider 3's identity is revealed! Read-on after the break! 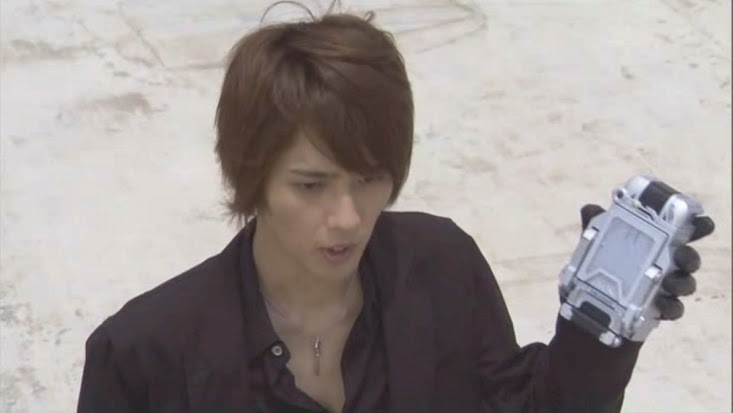 As for Kamen Rider 3's civilian identity, he is known by the name Kyoichiro Kuroi. What is his agenda? Is he on the side of justice or is he a pawn of Shocker? And lasty, the actor who will portray Kyoichiro Kuroi is none other than Mitsuhiro Oikawa, knwon for his role in the movie titled In The Hero. Ich glaube das war eher als Joke gemeint. Solche Bilder sind immer im Telebi Magazine drin, dass sind so Spiel- und Rätselseiten. Tokusatsu facebook group Nihon Hero has confirmed that the newest band of ninja heroes, Shuriken Sentai Ninninger, have been confirmed to appear in this year's Super Hero Taisen GP. No news has been given though if Right/ToQ-1 is also going to appear in the movie. 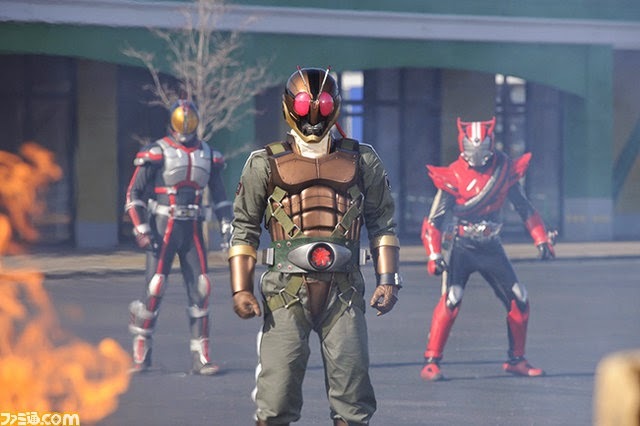 Also, Takayuki Tsubaki (Kenzaki Kazuma / Kamen Rider Blade), Ryoji Morimoto (Aikawa Hajime / Kamen Rider Chalice / Undead Joker) & Takahiro Hojo (Mutsuki Kamijo / Kamen Rider Leangle) will also be in the movie as Voice Actors only. 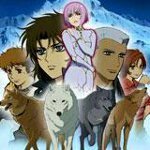 Ich find's immer noch schade, dass Bakki und Co. nur voice-over machen, aber dass sie überhaupt dabei sind ist ein guter Grund zum Feiern. Well this is a surprise. 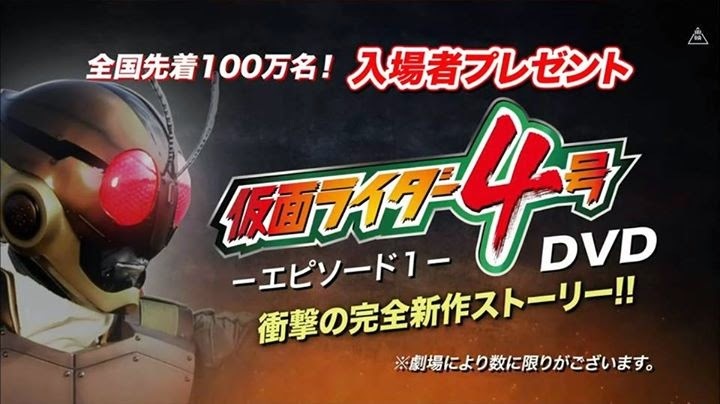 Toei has unveiled a new Kamen Rider, and his name is Kamen Rider #4! 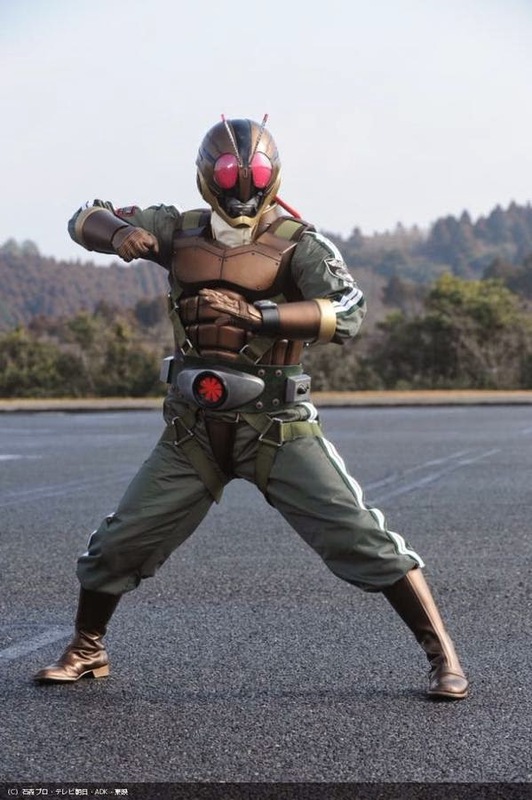 This new Rider will appear in a Super Hero Taisen GP tie-in mini series. Kamen Rider #4 is a pilot-themed Rider who pilots a plane called the Sky Cyclone. 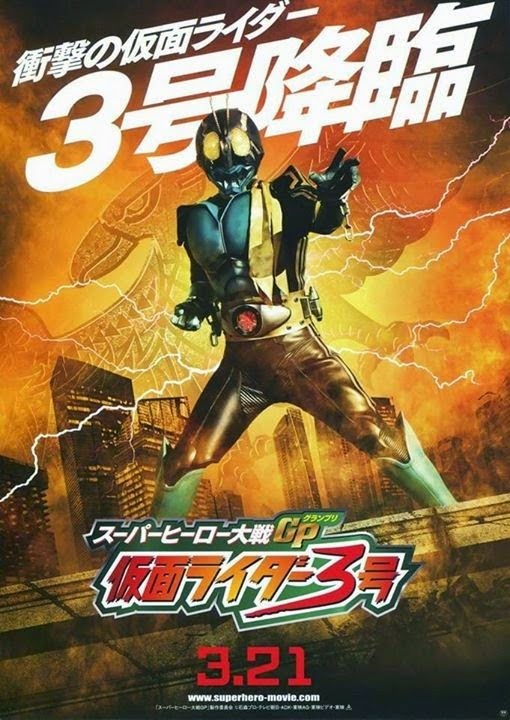 Similar to Kamen Rider #3, he's a cyborg created by Shocker in an alternate timeline where Shocker ruled the world. Written by Nobuhiro Mouri (Kamen Rider OOO) and directed by Kyohei Yamaguchi (Kamen Rider W Hyper Battle DVD), this three-part mini series will be released exclusively via the Japanese Dvideo service starting on March 28th. But if you decided to go see the Super Hero Taisen GP film in cinemas, the first 100 people will receive a special DVD containing the first episode. Ich hab das ganze mal mit dem bisherigen SHT thread zusammen gefügt. Was ich an seinem design ziemlich cool finde ist das sein Helm quasie einen Mund hat. 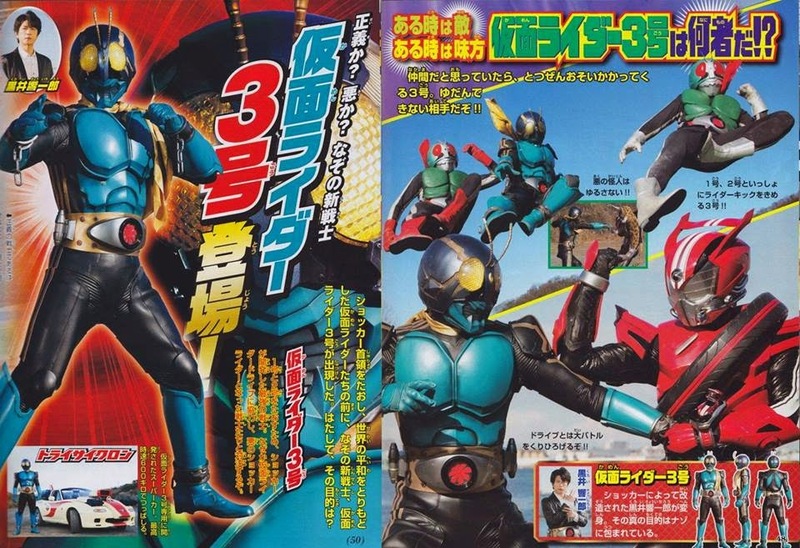 Ist ne clevere anspielung auf Riderman den anderen Kamen Rider #4. Überhaupt hat das Design was, find ich. Ich finds auch richtig cool. Vor allem, weil es halt so... zeitlos ist. Es hat nen Showa-Touch, aber auch durchaus ein bisschen was von Heisei. Die ganze militär thematik wurde auch richtig gut eingefangen. Wann kommt bzw kam eigentlich die DVD raus? Weiß das jemand? Fünfter August müsste das gewesen sein.